Being a long-time metal head, I still remember vividly the ludicrous charges brought against the band Judas Priest for allegedly driving a pair of young fans to attempt suicide. This was supposed to have been accomplished via subliminal messages included on one of their songs, never mind that it makes no sense for a band to intentionally try to kill off their own fan base, or the fact that the album containing the song in question had been out since 1978 without incident until a couple of teens decided to put shotguns in their mouths in 1985. While it seems absurd that such a case would even go to trial, it did indeed make it before a judge in the summer of 1990. The proceedings lasted a month, and the band was acquitted of all charges. Lucky for Judas Priest their trial didn’t take place in India, or it might still be going on. 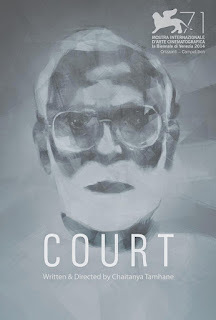 That’s the takeaway from writer/director Chaitanya Tamhane’s debut feature COURT, a scathing look at India’s justice system and the ways it can be used to stifle dissent. In Tamhane’s film, it isn’t a heavy metal band in trouble, but an elderly folk singer named Narayan Kamble (Vira Sathidar) whose songs rail against those in power. Shortly after a festival performance, Kamble is arrested and charged with abetment of suicide. According to witnesses, Kamble sang a song encouraging gutter workers to kill themselves. It hardly matters that Kamble never wrote or performed such a song, especially when he testifies in court that he would not be averse to doing so at some point in the future. Defending the accused is attorney Vinay Vora (Vivek Gomber), on the other side public prosecutor Nutan (Geetanjali Kulkarni), with Judge Sadavarte (Pradeep Joshi) presiding as the trial drags on and on due to procedural issues. Meanwhile, Kamble remains imprisoned without bail due to the graveness of the charges and his past history of rabble rousing, which doesn’t do much for his health. On the other hand, despite an almost complete lack of actual evidence to back up their charges, the prosecution is afforded a great deal of leniency. Obviously I don’t want to give away the ending, but suffice it to say this is not your usual courtroom drama with big scenery chewing monologues as the lawyers make their closing arguments on the way to a clear black-and-white resolution. Aside from the court proceedings themselves, we also see the two attorneys and the judge leading their day to day lives. 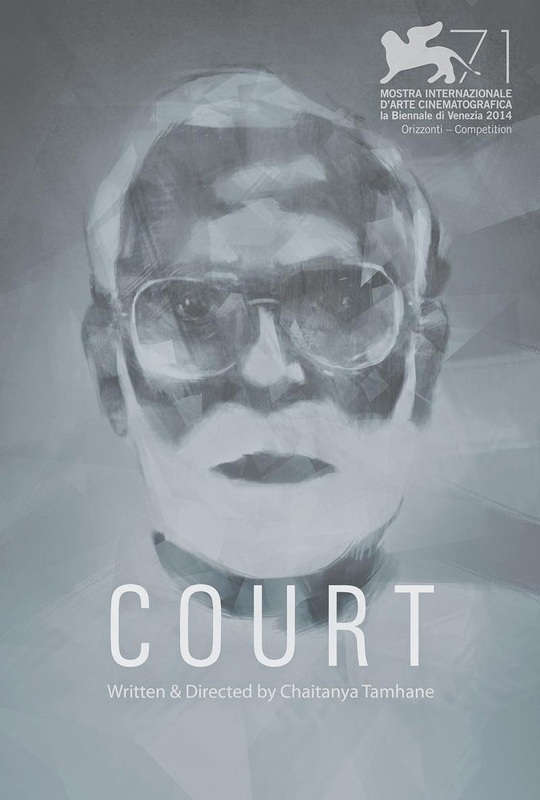 At first this seems irrelevant to the film’s main themes, but it soon becomes clear how these scenes further illuminate the film’s commentary on India’s justice system by giving us a better understanding of the personal mindsets of the these characters, and the ways in which modernity and tradition intersect in Indian culture. Tamhane directs with a naturalistic style that meshes well with his mostly non-professional cast. He isn't visually flashy, but the shots are effective and well composed. There's also a conscious avoidance of manipulative film scoring, with the only music coming from Kamble's performances and on screen sources like radios. That said, this is a more polished looking film than the gritty pseudo-documentary approach of filmmakers like the Dardenne brothers. All in all, an exceptionally well made film that is both moving and thought provoking, not to mention quite accessible unless you are the sort who simply refuses to put up with subtitles. 4 out of 4 stars.